First, Ayres wants to talk about that troublesome timeline. The Dark Age supposedly began with DC’s often grim Crisis On Infinite Earths miniseries in 1985, but Ayres points out that the roots of the current era of comics stretch back to at least the 1970s, a decade known for its popular antiheroes. During comics’ designated Bronze Age, DC and Marvel were already taking cues from such then-recent Hollywood films as Dirty Harry and Death Wish, as evidenced by Batman’s return to vigilantism and the emergence of the vengeance-obsessed Punisher. Besides that, comics publishers were already “dragging squeaky-clean superheroes through the mud” well before The Dark Knight Returns, Ayres points out. Spider-Man failed to save his girlfriend’s life as early as 1973, and that was two years after Green Arrow’s sidekick became addicted to heroin. Nevertheless, Ayres says, the comics of Moore and Miller were hugely influential, and the industry has been reacting to them in a variety of ways ever since. The reason Batman become such a focal point of comics’ reinvention, the article attests, is because of the character’s lighthearted portrayal on the 1960s Adam West television series. Miller specifically wanted to refute that show with his work. In so doing, he established a new precedent for superhero comics. 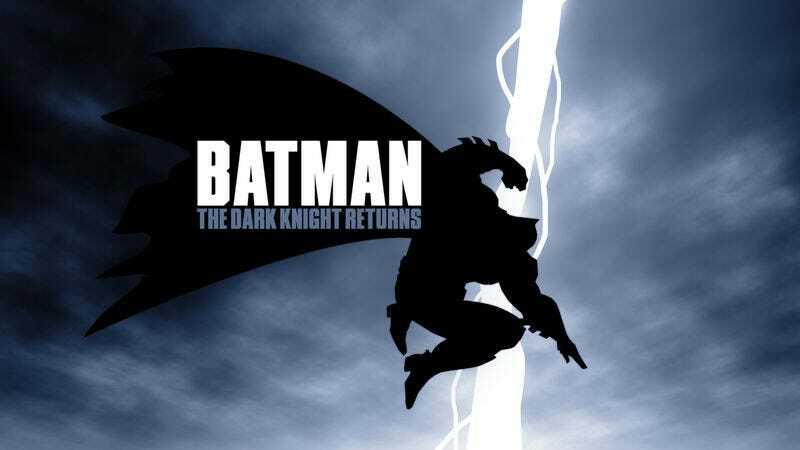 And now, ironically, it is Miller against whom some modern day comics writers find themselves working, as they decide whether to embrace or reject the legacy of The Dark Knight Returns.